New 11.6-inch and 13.3-inch MacBook Airs? Apple has a Mac-focused press event this coming Wednesday, with the latest rumours being that the Cupertino-based computing giant is planning to release two new 11.6-inch and 13.3-inch MacBook Airs. The rumours gained ground when Engadget published an image of what appeared to be a 13.3-inch MacBook Air in advance of this week's "Back to the Mac" press announcement. Netbook Air on the way? 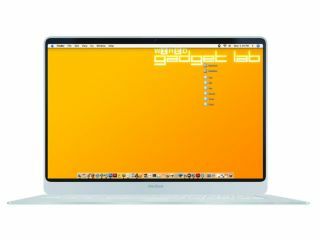 That image followed reports over on AppleInsider from unnamed sources claiming that an 11.6-inch MacBook Air netbook was also on the cards, with Apple removing in-built SSD memory in order to save space in the computer. Both rumoured new MacBooks are said to feature the immediately-identifiable all-unibody designs and single-button trackpads, with both also said to feature port layouts similar to the MacBook Pro's design, rather than the first-gen MacBook Air. The larger Macbook Air rumoured by Engadget features an extended new battery chamber, housing four battery cells – in addition to a USB port either each side of the device, a MagSafe power connector, mini DisplayPort connection, and an SD card reader. Of course, all of this is still to be filed under rumour. We will of course have the official line on Apple's latest plans for its Mac range of computers at this Wednesday's press event.